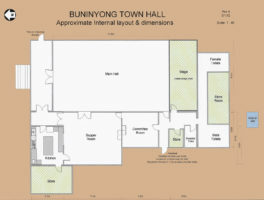 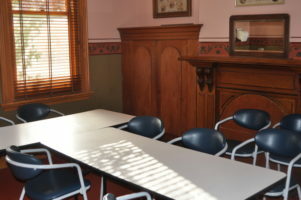 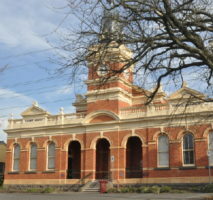 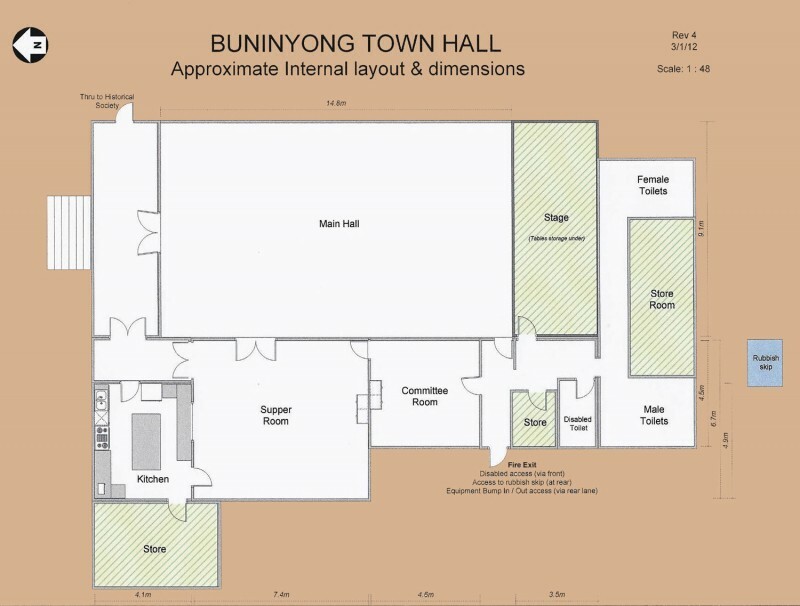 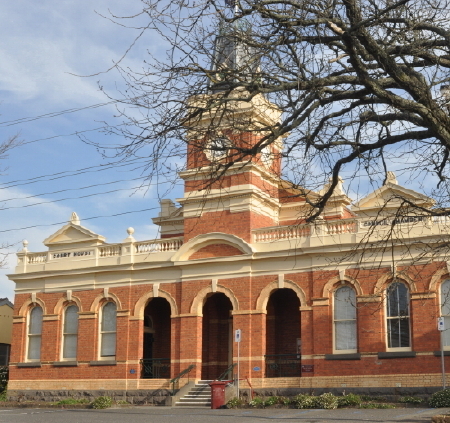 Description of Venue: Built in 1886, the Town Hall was built in the Italianate style, which was popular at the time, and it combined the Town Hall, Court House and Council Chamber for the Borough of Buninyong. When restored the the colour scheme was taken from an historical photograph, and remaining colours and stencils found on the walls. These details together with original ceilings, metal ceiling roses and other original features make the hall and meeting rooms the perfect venue for a wide range of occasions. 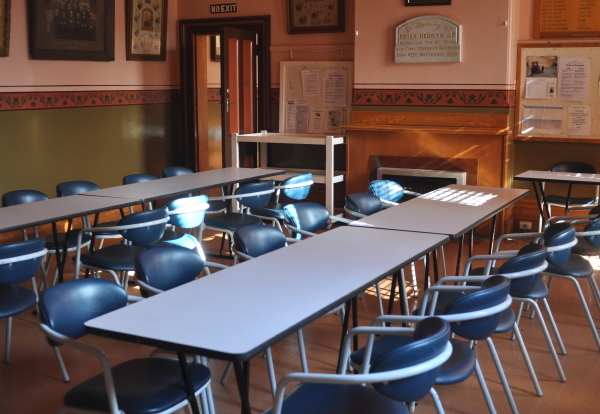 The venue features a large hall with a stage, two smaller adjoining rooms, and a fully equipped commercial kitchen which are all available for hire privately or to community groups. The main hall is ideal for wedding receptions, parties, dinners dances, private functions, exhibitions, markets, concerts and reunions, and the meeting rooms are suitable for smaller private functions and meetings. 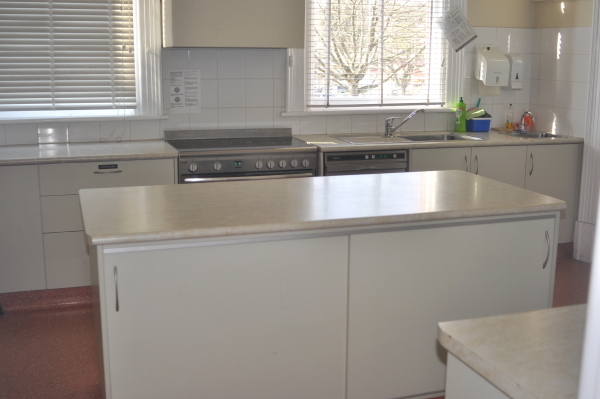 The entire complex has central hydronic heating. 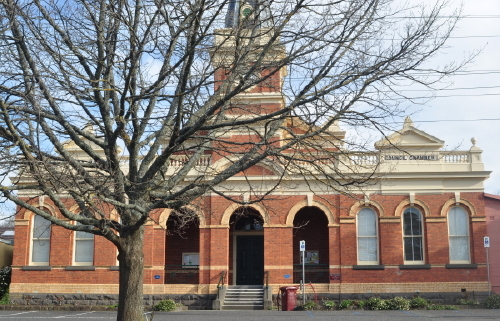 The building is on the Victorian Heritage Register, and is in the City of Ballarat's Planning Scheme for the Buninyong Heritage Precinct. 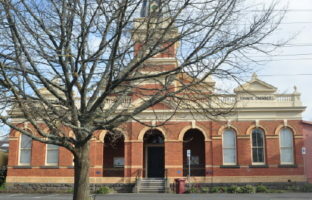 Is the venue open to the public, when and what times? 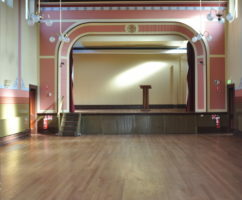 The hall is open to public when public events are being held such as exhibitions and concerts.